Far removed from the bodies they once adorned and the graves which from which they were unearthed gold cross pendants richly inlaid with garnets sit behind glass in various museums in Great Britain. Like many museum objects crosses from 7th century England are disembodied from the people who wore them and from their context of their life as things. Consider for example a discovery in 2012 in the village of Trumpington just outside of Cambridge. 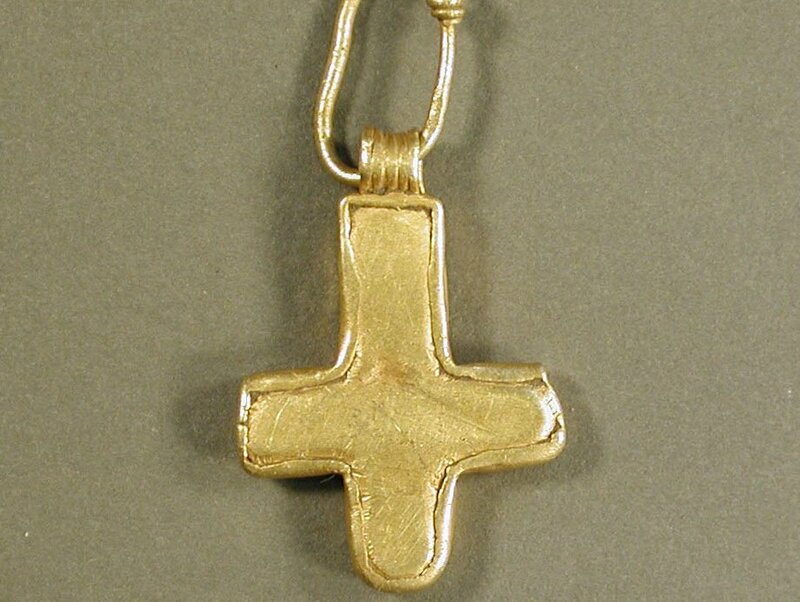 No older than 16 a young woman was laid to rest on an ornamental wooden bed a small gold pectoral cross sewn into her tunic lying upon her chest. To her mourners perhaps she appeared as if only sleeping the familiar sight of her piety at her heart.